Country Catering caters to clients who demand high quality and extraordinary service at a great value. We work individually to assemble a menu for you and your guests, featuring homemade appetizers, gourmet hors d’ oeuvres, salads, fruits, desserts, freshly baked breads & rolls, and mouth watering smoked meats. Our experienced staff, specializes in custom catering to suit the specific needs of our clients. Whether you need an informal country BBQ pig roast, or a black tie formal affair, Country Catering can serve your wedding, graduation, corporate breakfast, luncheon, dinner, picnic, banquet or your private in-home function. Country Catering’s services include Complete Event Planning, Professional Service Staff, Equipment Rentals, Linens, Floral Design and Custom Menu Design for All Occasions. Assemble your own menu for a sit down dinner from our selection of main dishes, or assemble a appetizer buffet line. We also have beautiful party trays available for your next function. We will serve groups from 15 to 1,500. Delicious, Beautifully presented, Professionally Served. Our prices include the use of our equipment and professional servers. Country Catering will rent equipment for the do-it-yourselfers, and has decor available to add the special touch including greenery, baskets, mirrors, twinkle lights and silver serving sets. If you are ready to reserve your date you can do so by making a non-refundable deposit using our secure ordering system. Click here to get started. 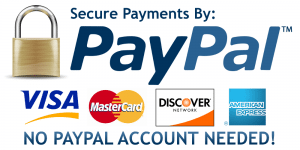 Your payment will be processed through our PayPal payment partner. You may also reserve your date by using our mail-in form by click here.